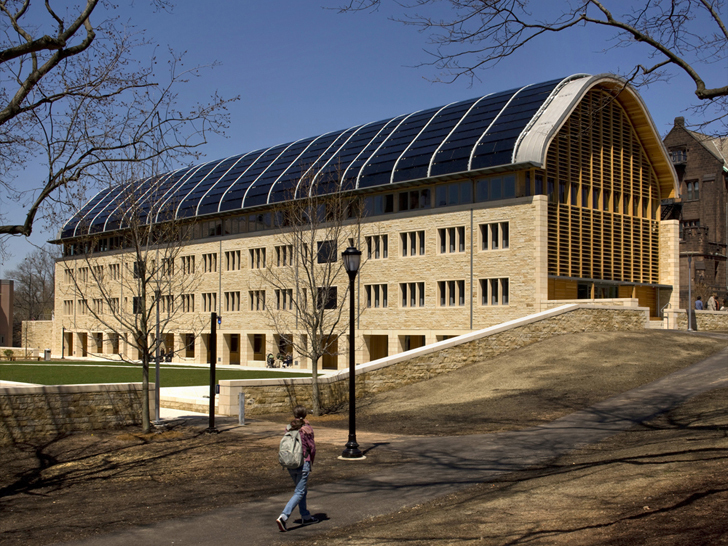 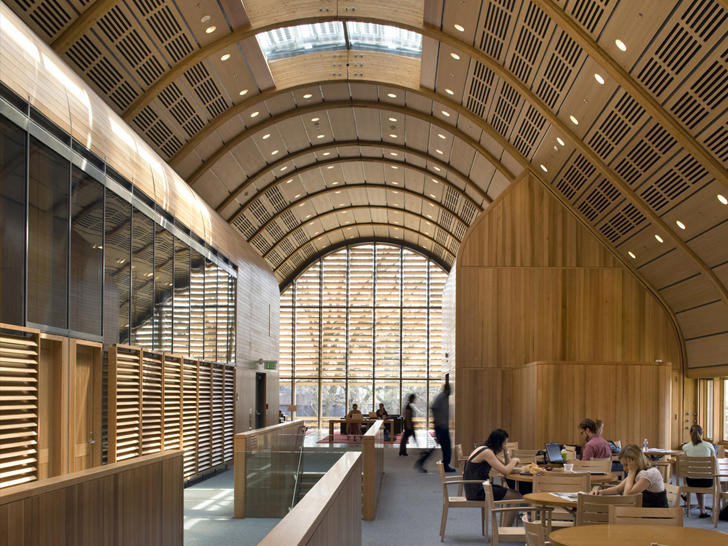 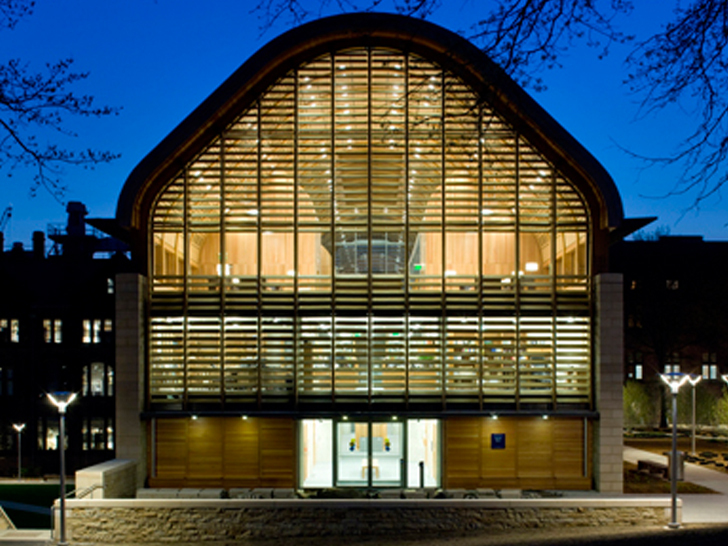 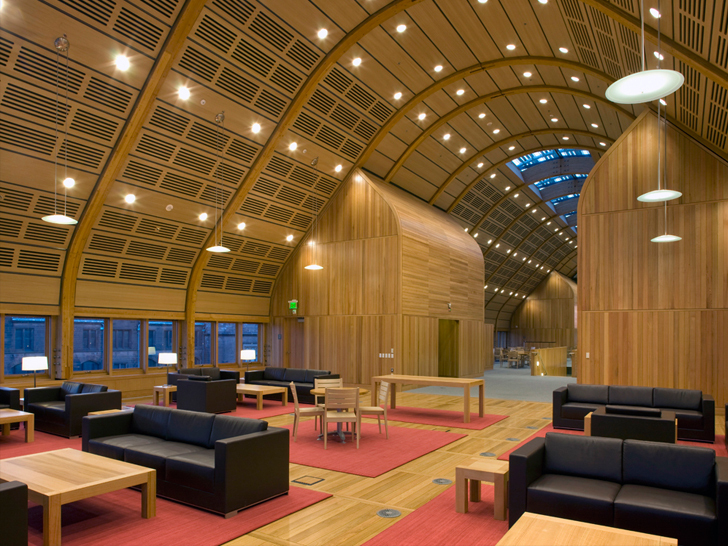 Reflecting the values of the <a href="http://environment.yale.edu/kroon/design.php">Yale School of Forestry and Environmental Studies</a>, which is located within its walls, <a href="http://environment.yale.edu/kroon/design.php">Kroon Hall</a> is designed as a model for <a href="https://inhabitat.com/sustainable-building/">sustainable building</a>. 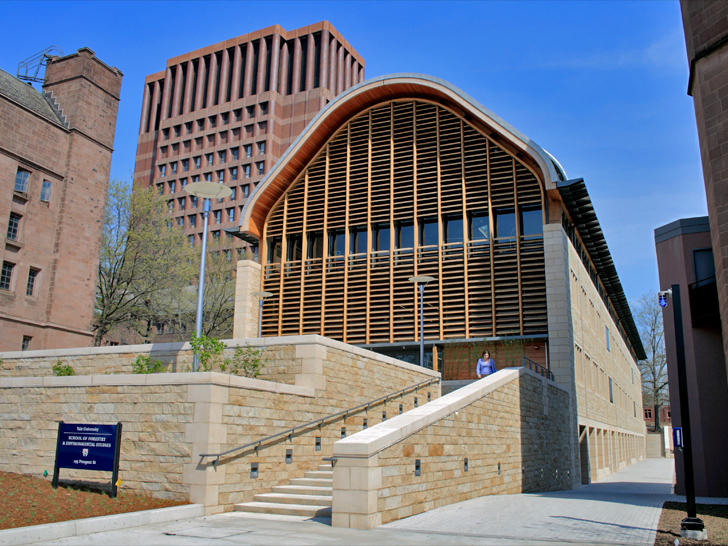 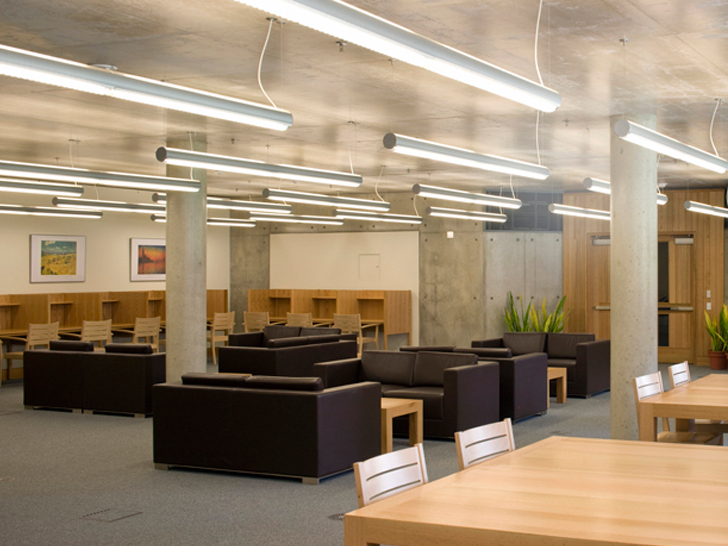 To create this inspiring building, Yale brought together a dream team of some of the world’s leading architects and engineers: <a href="http://www.hopkins.co.uk/s/">Hopkins Architects</a>, <a href="http://www.centerbrook.com/">Centerbrook Architects and Planners</a>, <a href="https://inhabitat.com/tag/arup/">ARUP</a>, <a href="http://www.atelierten.com/">Atelier Ten</a>, and <a />The Olin Studio</a>. 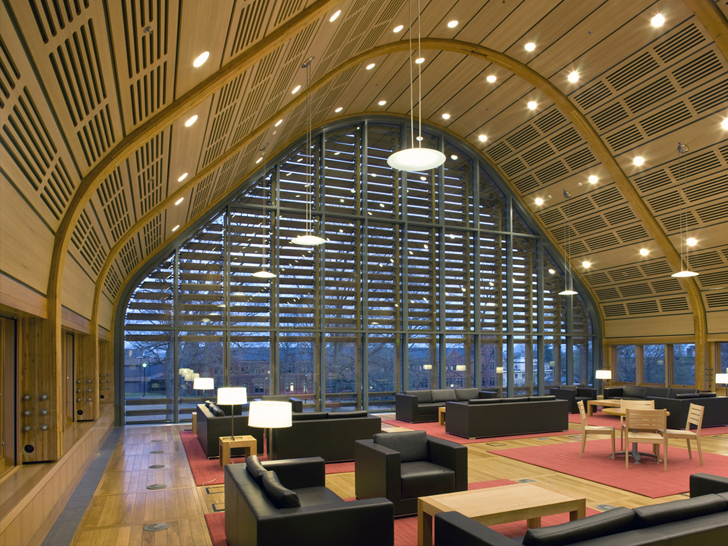 Following Yale University’s sustainability mission, Kroon Hall is designed to use 58 percent less energy than a comparably-sized modern building.